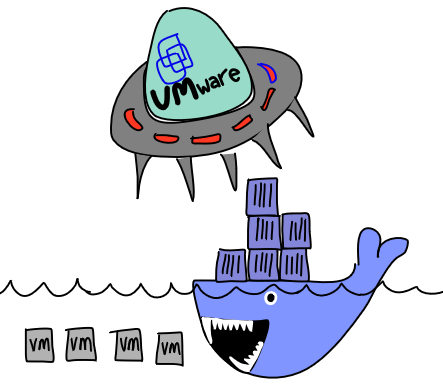 When Will Docker take over VMware and rule the virtualization world? How can Microsoft deliver on the promise of Docker support in the next version of Windows Server? Will dSAN (Docker SAN) take over from VMware vSAN? <-- Joke! NOTE: You can hear Randy Bias state that he sees more Docker in production than OpenStack at around 23:55 on episode 1 of the The OpenStack Podcast. See it's true! Did Joe Tucci have a "foot in mouth" moment when mentioning internal competition within the EMC Federation? Can Joe EVER retire with Elliott Management holding substantial VMware stock? Is VMware vSAN fit for production? In light of recent vSAN issues, what is the value of an HCL? Has interest in the private cloud peaked and now on the way down in the face of all the innovation and maturity of public cloud offerings? Will there always be some data and some systems that we'll never trust to the public cloud? The guys also discuss Robin Harris's recent post about EMC trying to insert itself as a public cloud intermediary. Marc uncovers an absolute gem in another Secret Windows Phone App segment!